On Tuesday (tomorrow, Jan 15th) we expect (hope for) a “yes” vote in the Virginia Senate to complete ERA ratification in that branch of their legislature. YAY!! Rejoice! Happy happy…right? Not so fast. There are only 40 days left in the Virginia session and we still need it to get through the House and past Kirk Cox. 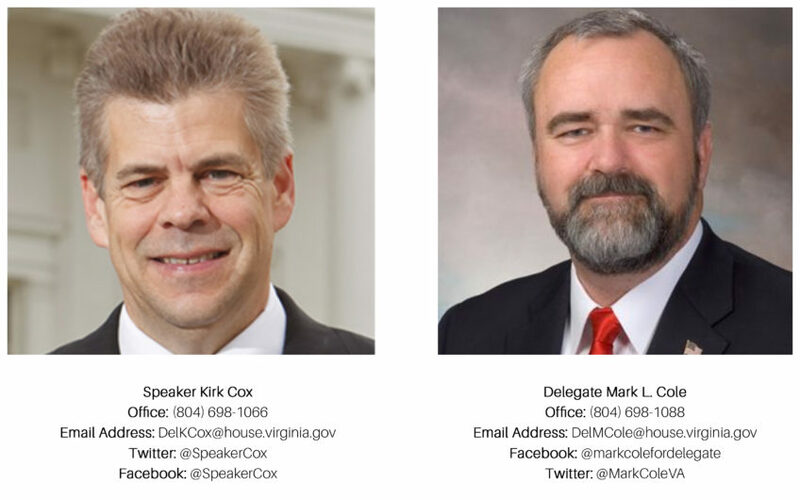 If we don’t get Speaker Kirk Cox to ensure the ERA gets to the House floor for a vote by the full House, Delegate Cole will surely kill ERA. Again. WE CANNOT LET THEM DO THAT. We need pressure from every angle to come at Speaker Cox and the VA House as soon as possible. There is literally NO TIME TO WASTE. If they can kill it in stealth fashion, they sure will; so we need to stay on top of them EVERY SINGLE DAY. It is rumored that the Family Foundation is offering Cox and the VA GOP ONE MILLION DOLLARS to kill ERA. Well, let’s get FIVE MILLION or TEN MILLION more into the Constitutional Equality Super PAC and make sure that come November, when every single seat is up for re-election in Virginia,we get each and every anti-equality legislator voted OUT. We need you NOW. Your contributions and support have made EQUAL MEANS EQUAL super-effective. You were there for us when we were in Virginia last year, hosting receptions and standing in the snow day after day during the Silent Sentinel protests in DC and VA.
You were there when we bussed protestors to Illinois and held rallies and parties. You were there when ERA then passed in a state that had refused to even hear it for over twenty-five years. And here you are now. At what could be the end of a long hard road. Or another heartbreaking cul-de-sac. It’s on us. I KNOW WE CAN DO THIS. If you want the ERA to pass NOW, in this session, in Virginia – then please help us. Treasure. Connect us to money. A super PAC can receive unlimited funding (unlike a regular PAC with a max of 5K). Send an email to contact@constitutionalequalitysuperpac.com and connect us to big money NOW so we can take on Cox and the other anti-equality legislators holding back equality from the entire country. Press. Connect us to ink. We need them to know we are coming for them. We need people to know that the Family Foundation and the Eagle Forum are out there, door knocking, robo-calling and offering people money to stand in the way of the ERA. We need them to know we won’t be taking this lying down. 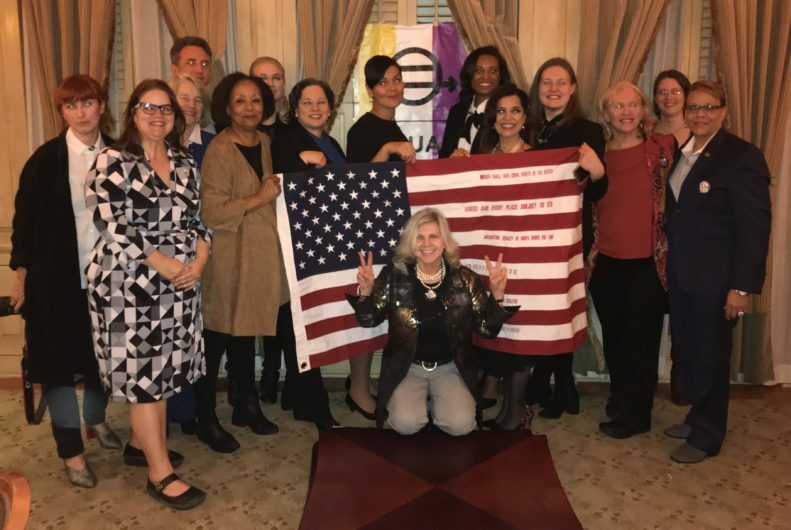 There are so many more of us than those who believe that women should remain second-class citizens. We CANNOT allow them to control the dialogue with the legislators. They are coming into the General Assembly with co-opted astroturf that is supposed to look like grassroots activism. It isn’t. WE are grassroots activism. THEY are without principles and paid for. Personal Commitment. Show up in Virginia. Get in a car and get some friends and show up. This is extremely powerful and scary to these guys. Delegate Cole’s P & E committee meets on Fridays at 9:30am. Show up at the Pocahontas building (900 E Main St, Richmond, VA) with your EQUAL MEANS EQUAL gear and give them a piece of your mind. And heart. Share the news – amplify the urgency of the situation in Virginia any way you possibly can. The clock is ticking. Forty Days. That’s all we’ve got left to finish this. WE WILL DO THIS.